Trapped: The Abduction is rated 3.3 out of 5 by 20. Rated 5 out of 5 by Missiongirl from Good even after several years I have just re-played this game and after several years I think it still holds appeal. 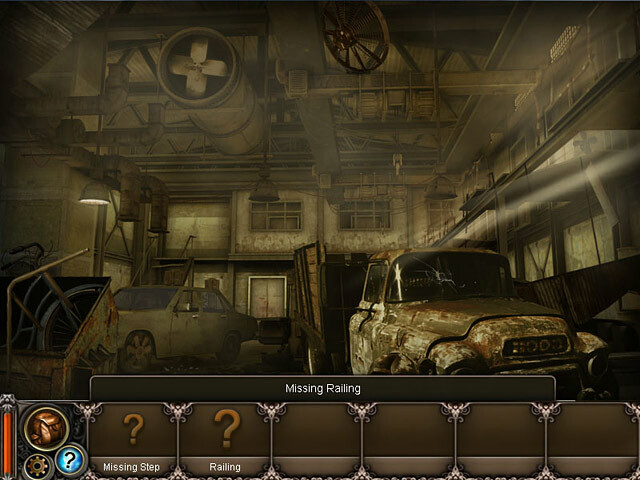 It is purely a hidden object game and it is very dark and atmospheric. I guess to only criticism would be that it just ends. After such suspense, there is nothing! Shame there was no follow up game to carry it on. But you can't have everything and I did find myself loading this game when I had 2 new ones waiting to be played. Rated 5 out of 5 by sfr8rfan from I Couldn't Get Away From This Game I wish there were six stars available: I wouldn't give a sixth star, but I would then be punishing the story for its one deficit: a poor and abrupt ending. BUT, There aren't six so I STILL have to give it five stars for what it was, not what it wasn't. An HOS-driven game is not what I ever like. This game, though, was one HOS after another. While the game was puzzling, there were no puzzles. (I note that the description of the story says "Crack codes, solve puzzles and avoid traps laid out by a dangerous serial killer! 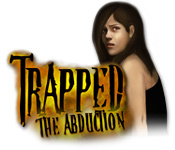 Plot your escape in Trapped: The Abduction." Well, it's not possible to "spoil" anything after that. That's exactly what the game is...except, again, I didn't see, skip, play. beat, etc,. any puzzles. Fun Factor: The theme was creepy and I love being scared and taken up by the story. The developers accomplished this. I loved it from the very beginning, Visual Sound Quality: Since it's a hidden object game, the objects are of prime importance. I thought they were difficult to see. It was a size issue, not a clarity issue. They weren't particularly well hidden or cleverly designed. They were just small. That was a problem. As for sound, there was VERY CREEPY background music that was PERFECT. Many have complained about the kidnappers voice. I have no complaints. I thought his evil-sounding voice was the perfect complement to this frightening tale. The kidnapper toyed with his prey and his puppet-master voice sounded exactly like that: one minute cajoling and the next angry, but always, ALWAYS in control and that's what made this so on-target scary. The feminine voice of the victim played well against the polar opposite voice of evil. Level of Challenge: It was basically find the objects listed. Only because of their small size were some hard to find. Like always, some of the items were done for once found while others were used to complete one scene and segue to the next. This was not particularly challenging. Storyline: The whole game supported the story. A kidnapped girl in an abandoned, multi-room warehouse with a madman serial kidnapper/presumed serial murderer who can see every move and communicates with the victim. Unfortunately, the game ended without a satisfying ending. I'll leave it at that. You'll know what I mean if you play the game. You'll see from some of the reviews that is about a 50/50 split on whether or not this game is in good taste or epically twisted and sicko. Not sure what it says about me, but I loved it. I do not hesitate to recommend it to others, but if you are squeamish then maybe it's not a good idea. You could have some nightmares. I've indicated that the game didn't present much of a challenge from the game playing perspective. Yet I have given it five stars. Clearly the game is greater than the sum of its parts. I usually applaud a developer's effort to come up with something different. This gets a standing ovation. And that is why a game which would otherwise get four stars was awarded five by me. Rated 5 out of 5 by babadgirl from I liked the quirkiness I really liked this game. It was very different, had a huge weirdness factor and a decidedly odd premise. I thought the scenes fit the feel of the game and was very much looking for a resolution in the sequel, which as far as I know, hasn't come out. Rated 5 out of 5 by djdraws from Totally trapped This was the 1st game of this type that I played and have become hooked on this type of game. (You need to solve something before moving to the next step). Really nice graphics. HOS not too difficult. The "Abductor's" voice did become a little annoying after while but otherwise enjoyed the game and the puzzles. Liked Rachel's feisty attitude and determination. Rated 4 out of 5 by Ddfurneaux from Intriguing but lackluster Though it is a good game and it is predominantly hidden object scenes, the game was lacking a solid plot/storyline. The ending was confusing and disappointing, and there was no real proof to show that the kidnapper was indeed a "serial killer". A lot of the lines that the kidnapper spoke were replayed a few times which created a sort of deja vu feeling and made it less suspenseful. There needs to be a sequel and maybe even a prequel to this game, to make sense of what is going on, why the kidnapper chose to take this specific character, and what his involvement with her is. All in all, a good, tame game with not too much puzzle solving, good for someone who just prefers to find objects instead of exploring or solving puzzles, but definitely needs an explanation. Rated 4 out of 5 by spiritlaughing from Not My Cup Of "Game" This is not what I thought it would be. The story line is unremarkable. The graphics are gritty, grimy, monochromatic, and just plain boring. It's almost laughable in it's attempt to be scary or something degrading. I did not like having to let it tell me what to do. That defeats the purpose of being a game...like when putting the clothes dummy back together, I couldn't just click on all the obvious parts until I first click the dummy again and again so it could tell me what to do. That for me, drags the game out and lets my attention deplete. Boring for me. But I understand after reading in the forum, there are quite a few who like this type of gaming. So I will recommend it. Rated 4 out of 5 by qpqt from Good Interactive Hidden Object Game I often don't follow story lines, but this one intrigued me. Helene gets abducted by a psycho and is taken to an abandoned building with several rooms. 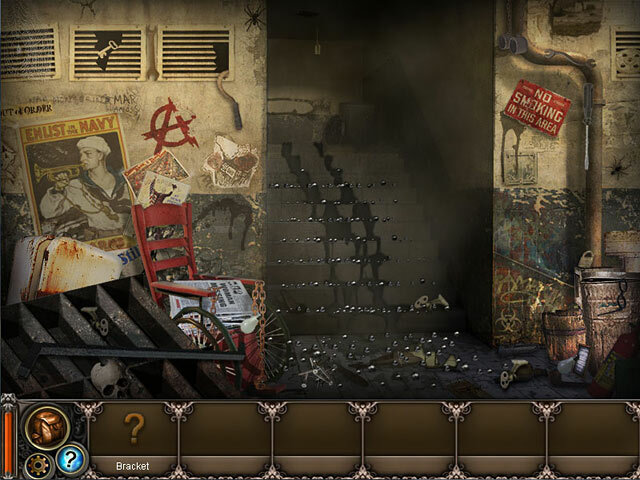 After completing the hidden object scene in each room, there is a task to be performed to help Helene escape. It's as if you become part of the story. The atmosphere throughout is dark rooms, which I generally don't like. But it fit the story line. In some of the scenes you only have a flashlight or lighter for light, which was challenging. I thought the length was good. The hint button recharged fairly quickly. There were no penalties for mis-clicks. My only complaint was the ending. Nothing was explained as to who the abductor was, why Helene was abducted, where she was being held. It seemed as if someone just lost interest in developing this game and gave it a lame ending. I finally get involved in a story line, and I'm left hanging! If not for the non-ending, I would have given it 5 stars. Rated 4 out of 5 by Zantetsuken from For B-Movie Lovers If you're looking for a very deep and involving storyline, you might want to go elsewhere. However, if you're looking for a game similar to B-Thriller movies, you might just enjoy this game. A psychotic killer kidnaps a girl and proceeds to play a sinister game of tormenting her with different twisted tasks. 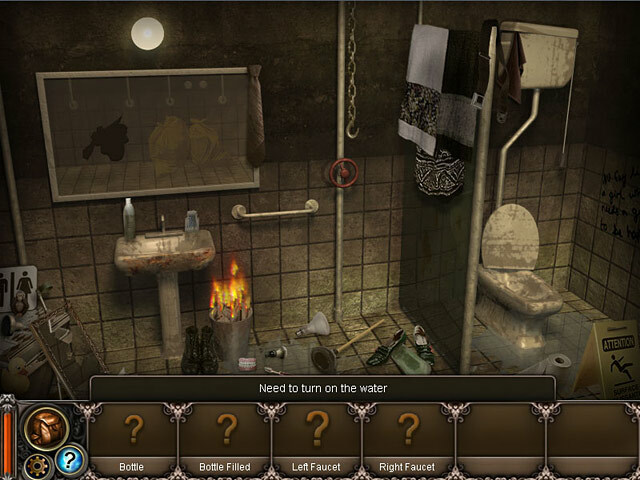 Your objective is to escape the facility with your life by solving puzzles, and finding object to aid in your escape. The HO puzzle are fun, but not much of a brain bender. The killers voice has the classic deep distorted sound one would expect, and the girl has a defiant attitude to her abductor to match his brazen nature. Both voices were decent enough, although the killers wasn't as scary as the producers might have strived for. All in all, not phenominal, but it's good enough. Rated 4 out of 5 by Cherylao from Spooky HOG! Most objects are easy to find, night vision goggles are fun, loved the kidnapper's voice! He's funny at times--not sure that was intentional, but I liked that aspect. Rated 4 out of 5 by ntelinasia2 from Mysterious ending In my opinion it's a really good game.But the basic mistakes that really get me,are mostly about the story.I tought that I missed something or that I didn't understand something else very good...I was expecting some memories to be solved at least in the end,I don't know,of course that never happened.I still don't know what had really happened! !It's not difficult,I can even say,that you 'll finish it in about 4 hours.The truth is that it's a bit short,but not too much.Now,some really good facts...;I really loved the characters,the girl,the "bad-pcycho"guy...Ok.Only 2 characters appeared but that man was really creepy like"I'm cominf Helen"...If you want me to judge his voice...it was good..but I really expecting a hansome,cute guy to appear in the end and find out they love each other!I don't know in this way it could be more interesting!Nice graphics and sounds!But this repetitive message after finishing th short-levels was quite annoying!Anyway the game is not so bad!It may sem awful,but I bought it and I am very pleased! 've played it over 5 times!It worths!